THE VACVVM will release a beautiful new art print by Jessica Seamans of Landland tomorrow. 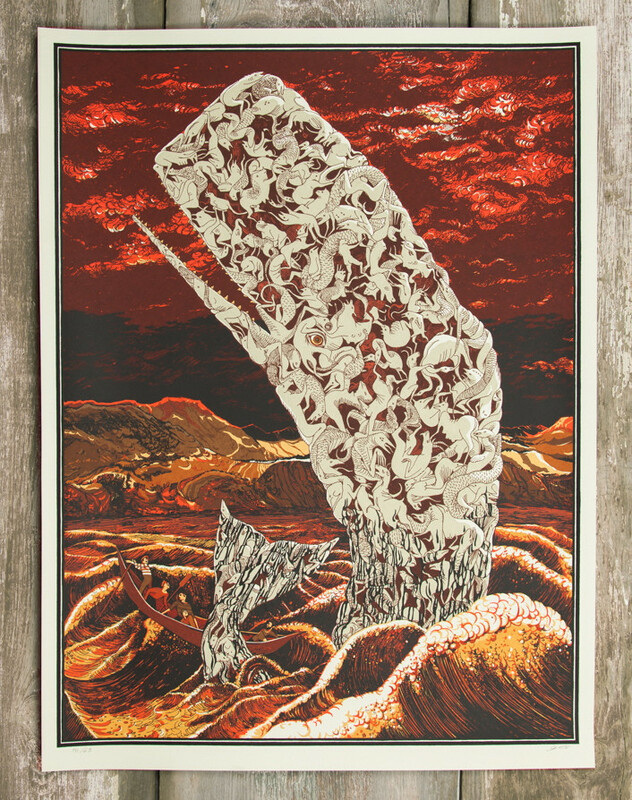 “The Wanton Sea” is an 18″ x 24″ nine color screenprint, has an edition of 65, and will cost $50. Based on her Baroness poster from last year, the art was completely redone and expanded into a deluxe, nine color print. It goes up tomorrow (Friday, November 28th) at 12pm Central Time. Visit THEVACVVM.com. Awesome! I look at it as an edition really more like 130 if they are going to have a second color way also at 65. Edition on Croatoan only being 180, seems like 130 copies of the image is about in line. Will be curious to see if the run stick sub 100 or sit more around the 130-150 mark.